Introdution: I was undecided about publishing this post because i don't have enough knowledge about codecs. Anyway this post is a start point and anyone has better informations can publish here something. 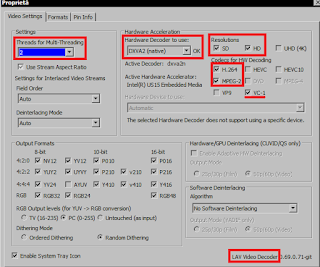 Video\audio quality can be changed using different settings. 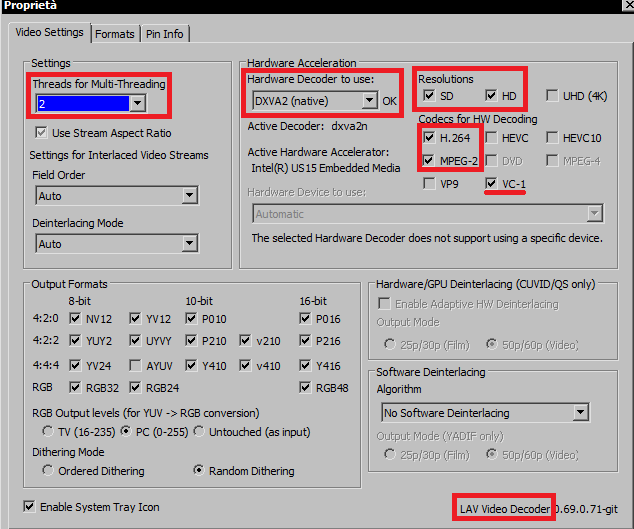 There are several video players and codecs but anyway you will not notice so much difference in terms of quality but only in cpu usage. 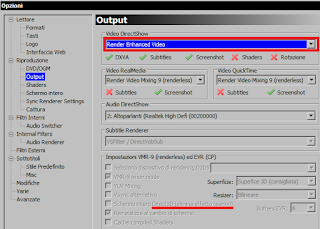 The aim is to help you in Video Player choice so I'm going to show you faster Video Renderers. 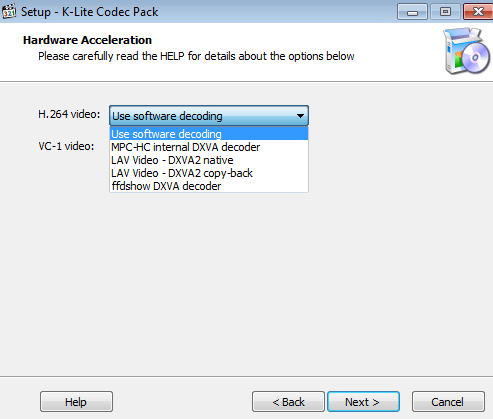 Which form of hardware acceleration should I choose? 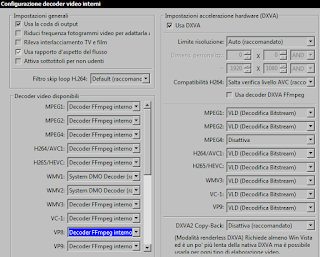 You use Media Player Classic Home Cinema: Use the internal DXVA decoder. You use a basic player such as Windows Media Player? 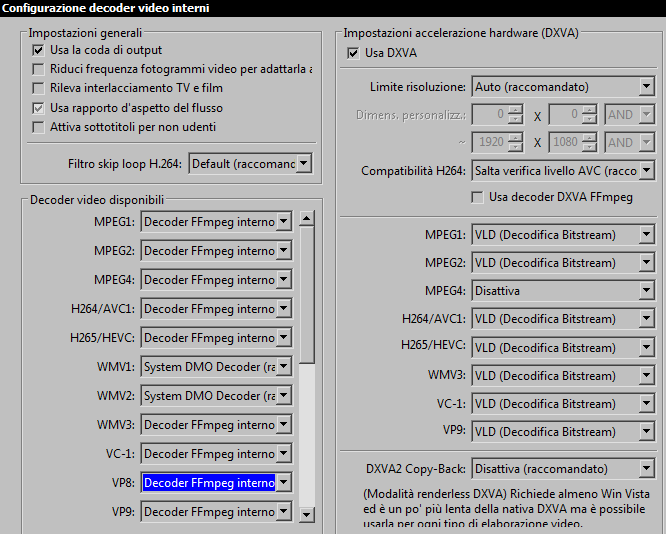 If you need subtitles then use ffdshow DXVA. P.S.The newer MPC version with LAV supports subtitles! If you have enabled Hyper Threading on your Atom processor (5xx series support it), choose 2 threads but ,anyway, there is no real difference between Auto\1 or 2. 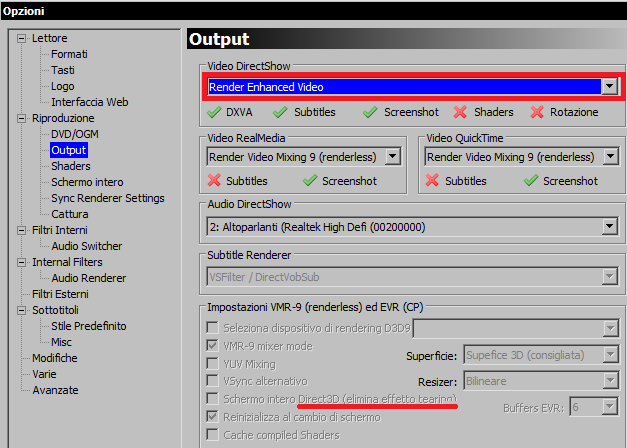 The best choice is Enhanced Video Render (CPU Load 15-30% ,A. 20%) anyway you can also use EVR sync (CPU Load 20-32, A.25%). Light and easy like MPC but probably with a better UI. 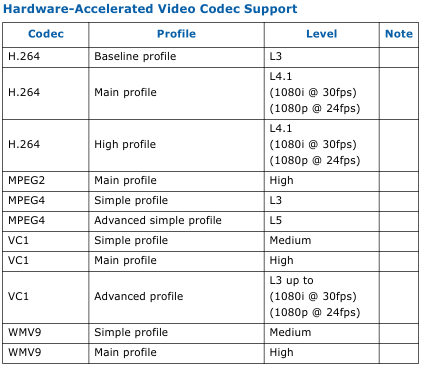 In the sea of video players, the best choices for Intel Atom Z5xx and common users are MPC and PotPlayer enabling DXVA with EVR and LAV(better) or ffmpeg. Them are freeware and easy to setup. Final Results: "My Compatibility Chart"
Hello, Thanks alots for this nice blog. I use your drivers on my Acer Aspire one 751H (with Z530, and 2GB ram) and they work very well, I can even watch HD videos on Youtube. The work flowlesselly in a window, but maybe with fewer framerate in fullscreen. I have one hint for VLC player. 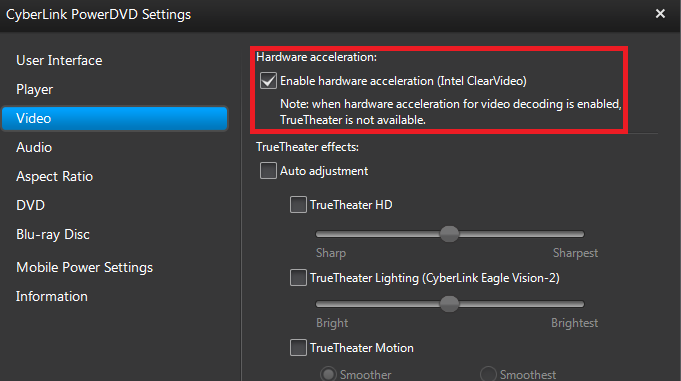 There is an option somewhere in the settings to enable GPU acceleration and then it works very nice. Looking forward for your next posting. Thank you! Finally HD movie works for my Vaio VPCP115KW! I'm currently using Windows 7 with your (awesome) driver. Even when I can play 720p videos flawlessly, there's still lag in some videos using MPC, VLC or even WMP. So I was looking for another player and I saw one named ''PotPlayer''. This player is the best I've used with this driver, even better than MPC with the Klite codecs! Just give it a chance, less lag, better performance... at least in my Dell Mini 10 - Windows 7 - 1GB ram. are the codec inside it? i will test it soon. Yes, it has it's own codecs like VLC. There are some videos, mostly on mkv and subtitles that are laggy on my dell mini using MPC, I have used all the video renders. With no subtibles MPC is great, but Potplayer is better at leas for me. Yes, it could be because I have only 1GB of ram, don't know if this player would make a difference with 2GB ram. 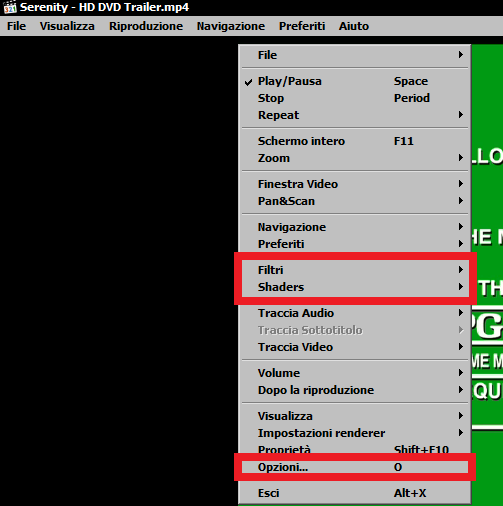 Greetings again, just to say that there are different versions of "potplayer" (I don't know why) and I installed the wrong one few weeks ago after reinstalling windows 7, the performance of that one is horrible even when it is the "same" player. Anyway, the player I'm using was downloaded from here: http://download.cnet.com/Daum-Potplayer/3000-13632_4-75587055.html , that seems to be the right one. Yes, PotPlayer is incredible. Now I can see 1080p videos in my Acer AO751h 2gb ram. Thanks Wenceslao. Gracias.